If you’ve been looking for a natural herbal solution to your erectile dysfunction issue, you are not alone. ED affects most guys at one point or another in their lives. For some, it’s an occasional occurrence. For others, its chronic. 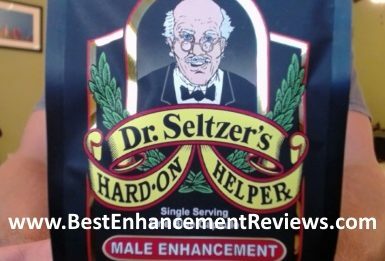 The trend lately toward herbal healing alternatives, and the unpleasant fact of side effects,has naturally led a lot of guys to look for an herbal male enhancement solution. Erectinol is one option. It’s made by Vital Max, and it claims to be the answer you’re seeking. With Erectinol, you’ll get that hard erection, and it’ll last all night if you want it to. It’s especially helpful for guys who have begun to experience that dreaded, yet natural age-related sexual decline. Erectinol attacks the problem three ways. First it works on blood flow by increasing the amount of nitric oxide produced by the body. NO is a vasodilator, so it opens up the gates and lets the blood flow in. Since the rush of blood is basically what an erection is, you end up with a firm hard one. Next it works on correcting your hormonal balance. By lowering estrogen levels in relation to testosterone levels, it improves sexual performance. Lastly, Erectinol provides lifts your libido an sexual energy so not only are you more ready, but you’re also more willing. The recommended dose is 2 tablets taken shortly before sexual activity. It starts to work in about 30 minutes and the effects can last all night. The Erectinol formula is fairly brief, each ingredient targeted toward a specific purpose. 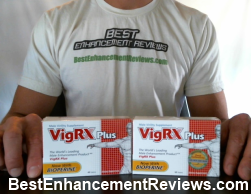 L-Arginine is a precursor to nitric oxide, so it increases the amount of this all important vasodilator. DIM (Diindolylmethane) is an estrogen blocker so you have a more favorable balance of estrogen and testosterone. Muira Puama and Epimedium are both ancient herbal aphrodisiacs used for centuries to increase libidos. Vitamin B12 is great for energy and mood elevation. You can purchase Erectinol through the Vital Max website. The 30 count bottle sells for $39.95, and there are significant discounts if you buy multiple bottles. There’s also an “easy ship” program where you’ll be sent 2 bottles every 2 months. The per bottle cost is under $16 if you use this option. There’s a 60 day “bottom of the bottle” money back guarantee. There are not clinical studies cited. There are no ingredients to support testosterone levels. We found no Erectinol reviews from customers. Erectinol just might work. Without customer reviews or clinical trials, it’s a little hard to tell, but the ingredients are decent, and the guarantee helps in terms of financial risk. If you’re intrigued by what you see in Erectinol, we think it’s a pretty good product to try.